All aboard for the next Marking Time installment! 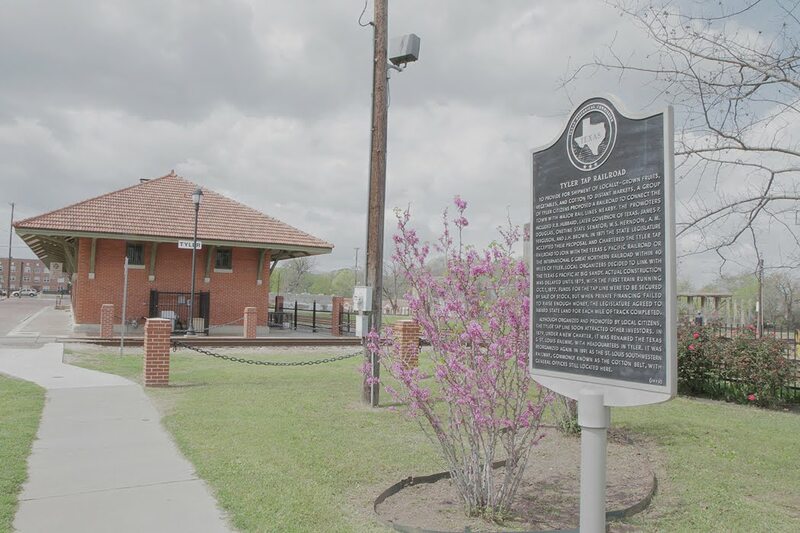 "To provide for shipment of locally-grown fruits, vegetables, and cotton to distant markets, a group of Tyler citizens proposed a railroad to connect the town with major rail lines nearby. The promoters included R. B. Hubbard, later governor of Texas; James P. Douglas, onetime state senator; W. S. Herndon, A. M. Ferguson, and J. H. Brown. 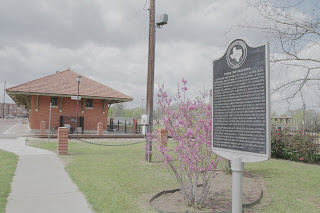 In 1871 the State Legislature accepted their proposal and chartered the Tyler Tap Railroad to join with the Texas & Pacific Railroad or the International & Great Northern Railroad within 40 miles of Tyler. Local organizers decided to link with the Texas & Pacific at Big Sandy. 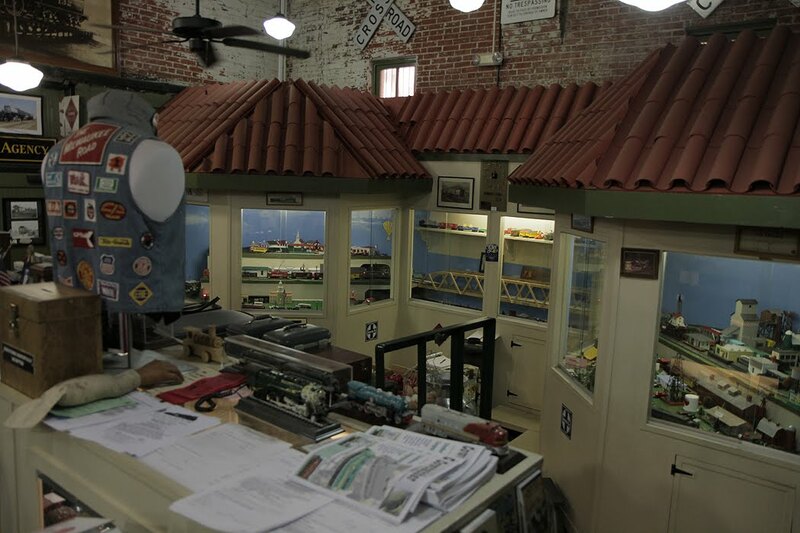 Actual construction was delayed until 1875, with the first train running Oct. 1, 1877. Funds for the tap line were to be secured by sale of stock, but when private financing failed to raise enough money, the Legislature agreed to award state land for each mile of track completed. Although organized and promoted by local citizens, the Tyler Tap line soon attracted other investors. In 1879, under a new charter, it was renamed the Texas & St. Louis Railway, with headquarters in Tyler. It was reorganized again in 1891 as the St. Louis Southwestern Railway, commonly known as the Cotton Belt, with general offices still located here." 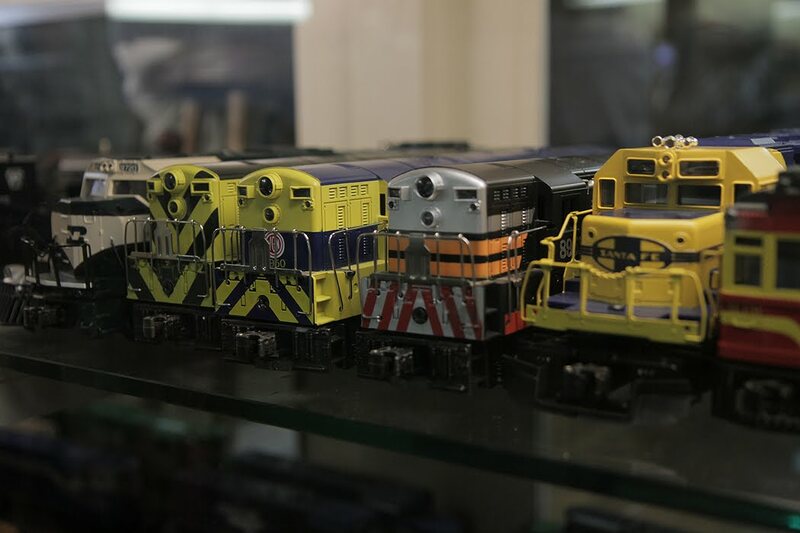 Inside the museum you'll find an impressive collection of historic railroad memorabilia as well as tons of model trains. And when I visited, the staff had plenty of stories to swap. There are several model train dioramas that were running during my visit and a ton of historic pictures.